Georgia Athens Waterproof Wellington Work Boot | BUDK.com - Knives & Swords At The Lowest Prices! When you have a job to do, your choice of footwear cannot stand in your way! You need to wear the best to perform the best. 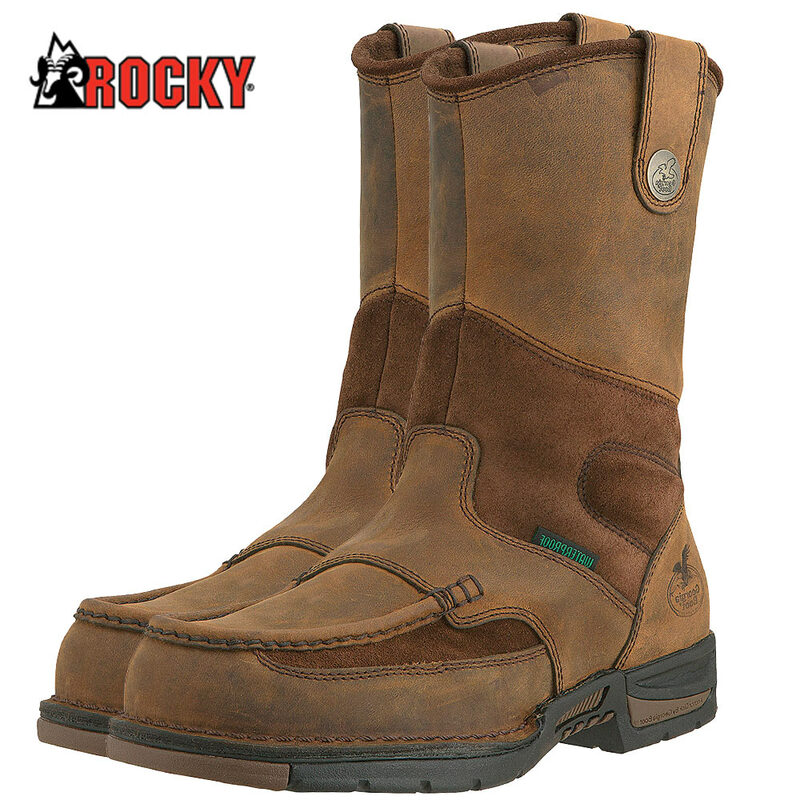 The Georgia Athens Waterproof Wellington Work Boot, designed and built by the world leader in active footwear, is the work boot you've been dreaming about. 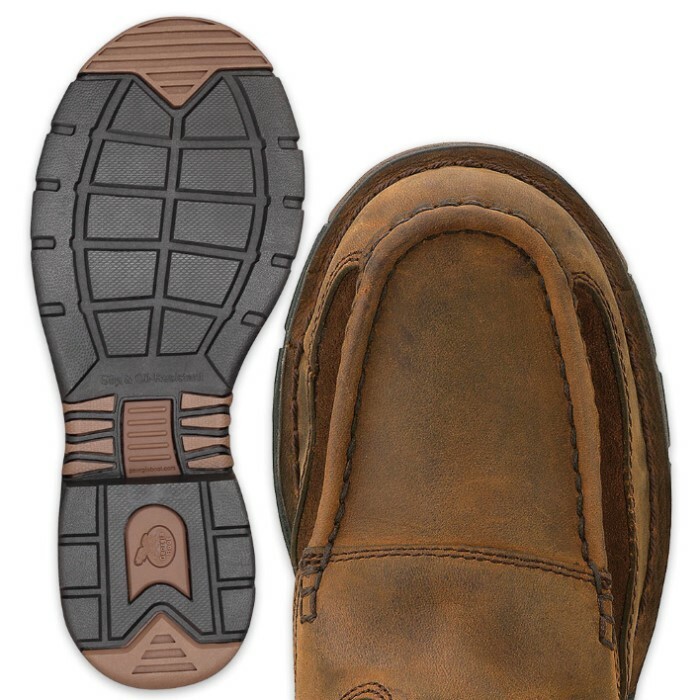 It was built with the Georgia waterproof system and a waterproof lining, to ensure your feet will stay dry in the rain, snow, hail or mud. This brown, pull-on work boot was created with an EVA midsole and a rubber outsole, not to mention, it has an AMP (advanced memory polyurethane) insole and a TPU shank for support. Extra heel support is provided by the Georgia Anchor Disk. 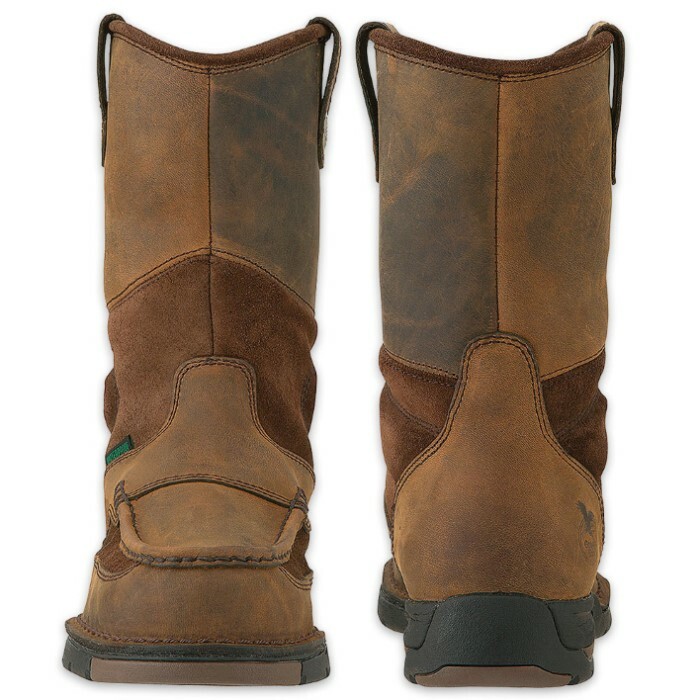 The boot also features waterproof leather with suede panels and a combined cement and stitch-out construction. It comes in sizes 8, 9, 10, 11 and 12.